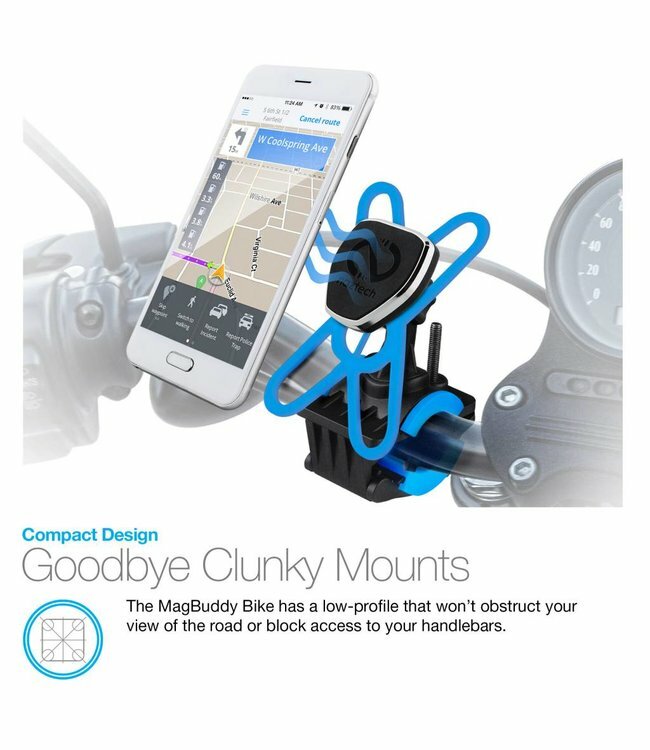 100% safe and powerful magnets will firmly lock your device in place at the perfect angle to keep navigation, hands-free calling, and music control securely at your fingertips even on the bumpiest roads and roughest trails! Ride with confidence! 100% safe and powerful magnets will firmly lock your device in place at the perfect angle to keep navigation, hands-free calling, and music control securely at your fingertips even on the bumpiest roads and roughest trails! Just hover your device near the base and feel the powerful magnetic force instantly latch on. Mountain biking with steep inclines? MagBuddy can Handle it! The additional silicone web harness will tightly tether your phone to the mount for absolute peace of mind as you power through mile after mile.